The YoYo project is beginning to look like a bag. I still have two seams and a couple of shaping details to do. 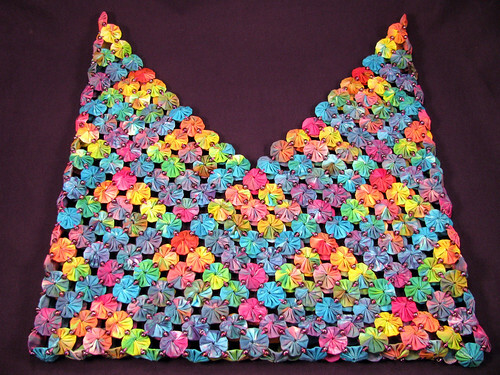 I also want to bead around the top edges. Hopefully by the weekend it will be done. This entry was posted on Friday, December 5th, 2008 at 3:00 am and is filed under Sewing. Tagged: Fabric. Sewing, Yo-Yo. You can feed this entry. You can leave a response, or trackback from your own site.